ItemPAM 11 - Lent 1918 St. Paul's Church Halifax N.S. 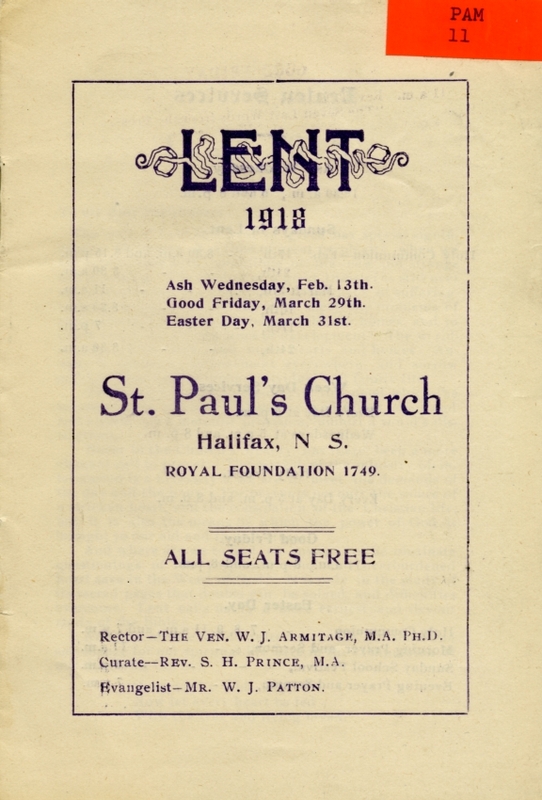 Item PAM 11 - Lent 1918 St. Paul's Church Halifax N.S. Lent 1918 St. Paul's Church Halifax N.S. 1 pamphlet : 6 p.
This item is a schedule from St. Paul's Church, Halifax, N.S.